Introducing an unofficial Minecraft-fan adventure series inspired by the bestselling game! 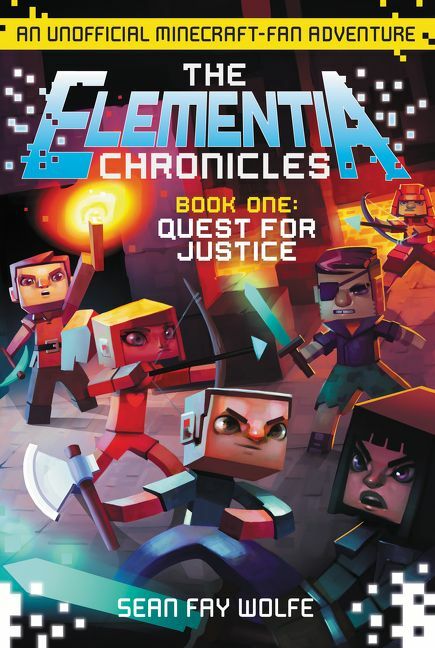 Fans of the bestselling video game Minecraft, middle grade readers, and action-adventure story enthusiasts of all ages are about to embark on an exciting journey that will take them far beyond the world they know. Dark forces are at work on the Elementia server, and when new players Stan, Kat, and Charlie arrive on the scene, they quickly find themselves in peril. Targeted by more experienced players, the noobs must band together against the king, battle the natural forces of the game, and unravel the mysteries of Elementia in the name of justice. Written when he was sixteen, Sean Fay Wolfe's Quest for Justice is the debut novel by an unstoppable young storyteller and the first book in The Elementia Chronicles trilogy.